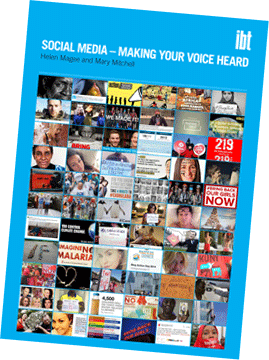 Social media is becoming increasingly important as a way of engaging the UK public with global issues. But it is also an increasingly challenging space in which to operate. In this briefing, we explore the changing social media landscape, look at what works and what doesn’t, and make a number of recommendations for how NGOs can be more effective. It’s clear that social media offers huge potential for public engagement but many NGOs are failing to realise that potential. Social media challenges the traditional ways in which NGOs communicate with the public, their supporters and beneficiaries. To be more effective, NGOs will need to find ways of promoting an organisational culture that gives social media a central role in its overall strategy, and also move away from a predominantly broadcast model to one which places far greater emphasis on dialogue.